The BBC citing data from Strategy Analytics reports that Samsung how now overtaken Apple as the biggest smartphone maker in the world. For the third quarter of 2011 Samsung accounted for 23.8% of of all smartphones shipped in the quarter. Apple came in second with 14.6% and Nokia came in third with 14.4%. This time last year Nokia had a 26.5% share with Apple coming in with 14.1% and Samsung with 7.5%. One thing which should be noted is that Samsung and Nokia offer smartphones at all price points while Apple, and other top manufacturers like HTC and Motorola, only compete only up to the mid-level market. Some things may change the equation in this quarter. 1. Apple has a lower cost offering. Traditionally Apple only kept two models in the market at one time. Now they will keep three models, which means they will be offering the iPhone 3GS which becomes the cheapest iPhone in history. 2. Nokia has launched their Windows Phone 7.5 device. A 14.4% market share shows that Nokia brand is still strong, and now its name, and Windows Phone 7.5, could help them regain market share. 3. Android handsets are now getting cheaper than ever. Last year Symbian and Bada smartphones where cheaper than Android alternatives. 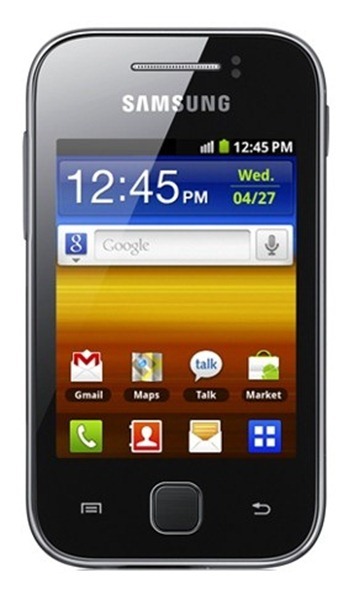 Now Android smartphones can be found at prices matching even the cheapest smartphones. This would put more pressure on Nokia.